For more than 45 years, Tilda has been the go-to choice for rice lovers, from home cooks to renowned chefs. Tilda has eight ready-to-heat varieties of steamed basmati with which you can travel the world of different cuisines, available in all major supermarkets Australia-wide. Whether you’re building up an Indian biryani or smashing out a Thai stir-fry, Tilda is here to keep you trying new things and embrace life in all its flavours. 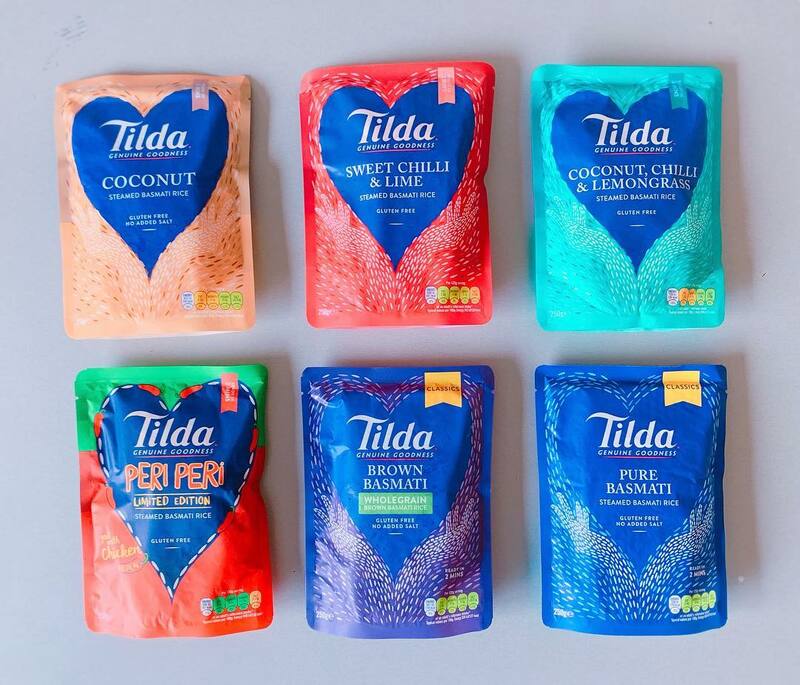 The Tilda range includes delicious Coconut Chilli & Lemongrass, Lime & Coriander, Sweet Chilli & Lime, Brown Basmati & Quinoa, Coconut, Brown, Pure, as well as the new limited-edition consumer voted flavour: Peri Peri. Tilda’s basmati rice is considered a healthy “super grain” because it’s low GI , gluten free and most of the recipes are also vegan friendly. With recipes that use wholegrain basmati and the bran layer intact you get all the goodness from that hearty layer. Tilda will put a smile on everyone’s face no matter the occasion. The convenient rice pouches only take two minutes to heat up so even the time poor don’t have to miss out on taste and nutrition. To ensure the utmost quality, Tilda carefully mills all grains, rejecting inferior grains. Basmati improves with age and relies entirely on nature for its very special characteristics. Tilda basmati is mature, before carefully milling, resulting in a deeper and richer flavour. A Peri Peri rice flavour sensation combining birds eye chilli heat with green peppers, sweet tomato, garlic, smokey paprika, oregano and a squeeze of zesty lemon! The creaminess of coconut, a hint of chilli and the delicate flavour of lemongrass give the slender Basmati grains a Thai twist. The zest of fragrant limes, coriander leaf and smooth coconut cream give a hint of Thai cuisine to these delicious Basmati grains. Long and slender Basmati grains infused with rich and creamy coconut. The perfect addition to any tasty Curry. A unique blend of fiery red chilli, sweet golden honey and zesty lime creates this distinctive Thai rice. The classic grain with all the natural goodness of the bran layer intact, combined with Quinoa – known for its nutritional benefits. Tilda® is the UK’s number one basmati brand focused on offering only the highest quality rice and rice recipes that taste good along with being healthy. Tilda® offers a wide selection of products and different sizes ranging from Pure Basmati to Jasmine rice and blended grains, Tilda® Steamed Basmati, Tilda® Pulses & Rice, Tilda®Super Grains, Tilda® Kids also available in a wide range of variants. All of Tilda’s products are strictly vegetarian (mostly vegan), gluten-free and do not contain any artificial colours, flavours or preservatives. The wide Tilda® range is available across multiple categories in store including the rice aisle, toddler food aisle, beans & pulses aisle and world foods aisle. Basmati remains at the heart of Tilda® and the company is committed to preserving the authenticity of the grain. It refuses to blend with inferior grains, carefully removes broken grains, DNA tests every batch, consistently ages the rice for at least 9 months and works hand-in-hand with the farming community to ensure the quality of the final product. Visit www.tilda.com for more information on the range.